Wholesome and nutritional treats for horses. 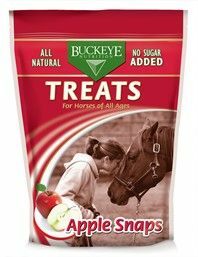 • All Natural No Sugar Added Apple Snaps treats are made with real apples, and do not contain additives, preservatives or artificial flavorings. Treat your horse with the most wholesome and nutritional reward.